After releasing three digital singles of new music this year, reactivated '80s rockers AUTOGRAPH will issue a very special five-song EP on January 7. "Louder" marks the first physical release featuring the new AUTOGRAPH lineup: Simon Daniels, Steve Lynch, Randy Rand and Marc Wieland. Initially, "Louder" will only be available exclusively on AutographBand.com, and at the band's live shows. 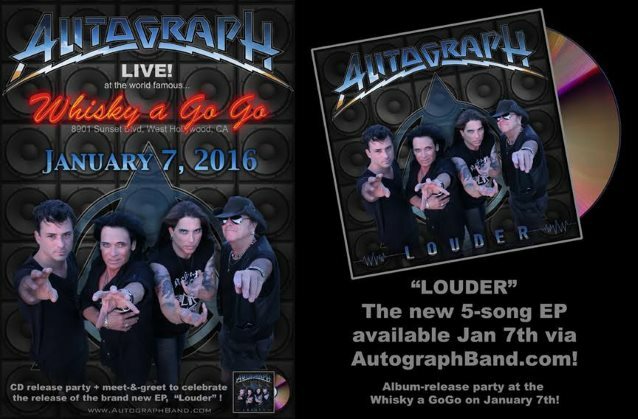 On January 7, AUTOGRAPH will host a CD-release party at the world-famous Whisky A Go Go on the Sunset Strip in Hollywood, California. A meet-and-greet will follow the band's performance, where the group will sign copies of its new release. AUTOGRAPH will continue to tour throughout 2016, with copies of "Louder" available at all dates. The platinum-selling Southern California hard rock juggernauts gave the world the ubiquitous hit "Turn Up the Radio", seminal albums such as 1984's "Sign In Please", 1985's "That's The Stuff" and 1987's "Loud And Clear", as well as unforgettable sold-out shows alongside everybody from MÖTLEY CRÜE and DIO to VAN HALEN and AEROSMITH. Given those accolades, when they disbanded in 1989, they never left the hearts and minds of millions of fans around the globe. Simply put, a reunion was both inevitable and essential. With the lineup solidified, AUTOGRAPH stand poised to shake rock 'n' roll up yet again. It's as if every element has been enhanced from the guitars and drums to the bass and vocals. Lynch puts it best: "We're much heavier than before. We're not using keyboards and we're tuning down for a much fatter sound. That strengthens everything. At the same time, the melodic vocals and catchy hooks are still an integral part of our sound." 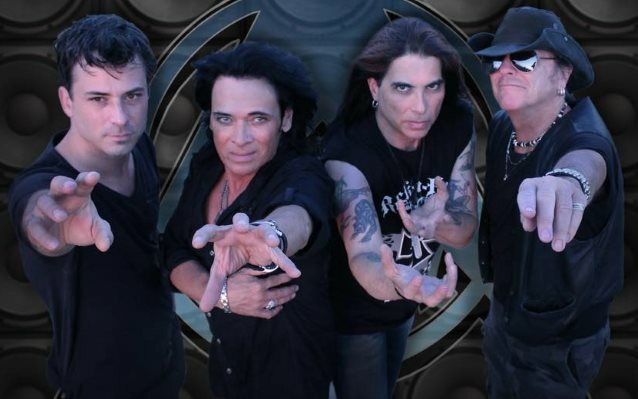 For more information and tour dates, visit AutographBand.com.